I recently posted my findings with my ex Garmin Fenix 2 compared to my friends Suunto Ambit 3 which was quite shocking. 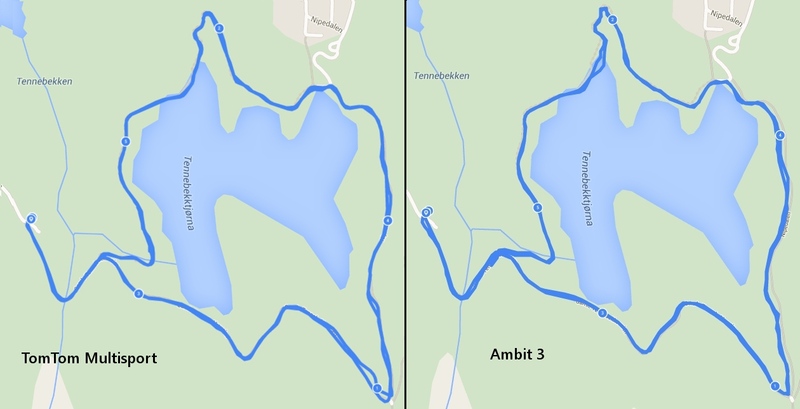 Recently I was using the TomTom Multisport + on the same route and here is a screenshot of the accurracy from that watch. I didnt bother comparing it to the Fenix 2 as it was too bad to compare. But I must say it looks pretty well compared to the Ambit 3. None of them are quite perfect, but I think I’d give the TomTom a win here.